Wilderness explorer Will Steger has seen sea ice in the Arctic vanish. 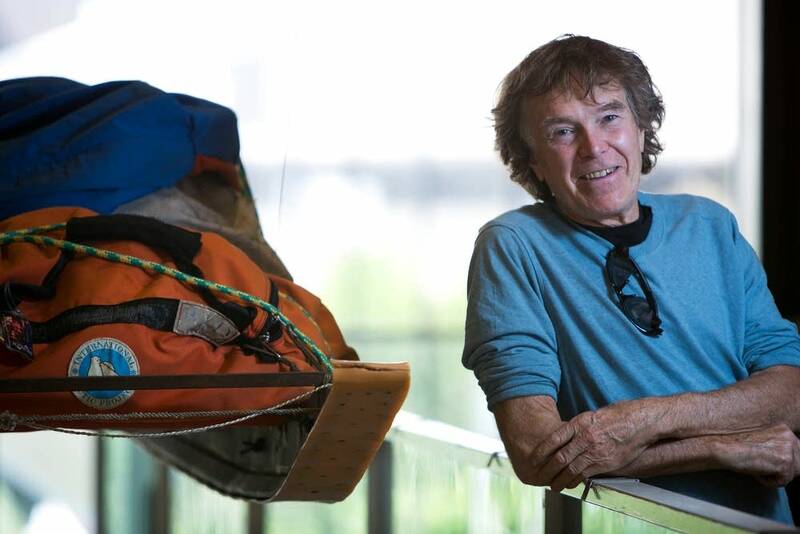 He's trekked across Antarctic ice sheets that have now disintegrated into the ocean. Now he's back from a two-month solo journey into the Barren Lands in northern Canada. He joined MPR News chief meteorologist Paul Huttner to talk about what he observed and learned on the trek. He also took listener calls. The truth about climate change? Well, it's a big, complicated planet. And we're still learning how climate change affects the interactions and connections between different parts of our atmosphere. Rutgers University's Jennifer Francis studies the links between changes in the Arctic, and changes in the jet streams over us. And she's finding clear fingerprints that suggest climate changes in the Arctic, are changing our weather here in the U.S. She tells us the latest findings. James Redford discusses his latest film, on renewable energy. Disconnect between climate change and booming renewable energy economy is what inspired him to make the movie. Where might climate refugees land? Maybe Arizona. A study in the journal Nature Climate Change predicts that places like Phoenix and Tucson, Arizona will be a destination for more than 100,000 people migrating away from climate change impacts this century. Hear the whole show by using the audio player above.